If I’m still working Do I need to sign up for Medicare? Do I need to sign up for Medicare if I'm Still Working? I often get this question: “Do I need to sign up for Medicare if I'm still working?” Let's look at several situations to see if you need to sign up for Medicare. Generally, if you are receiving either Social Security retirement or disability benefits, you can't opt out of Part A. In this circumstance the only way to opt out would be to withdraw your application for retirement or disability benefits from Social Security. But as long as you're still working, and have creditable coverage at work, you won't have to enroll in Medicare. And neither will your spouse, if your spouse is also covered. If you have the option, you'll want to check the drug plan coverage. Many times you'll save money by enrolling in Medicare when you are eligible, unless you are prescribed very expensive drugs. I recommend doing a cost/benefit analysis when comparing your employee plan to Medicare. Do I need to sign up for Medicare if I'm receiving Social Security benefits? If you are already receiving Social Security benefits, you are normally automatically enrolled in Medicare. However, I've had instances where my clients were not automatically enrolled. It's always best to contact your local Social Security office to see if you need to enroll. Or you can just use the online application at socialsecurity.gov/medicareonly. If you don't like online enrollment, you can also call the Social Security Administration at 800-772-1213. By enrolling yourself and not waiting for Medicare to automatically enroll you, you can decline Part B. But remember, if you don't sign up for Medicare when you're first eligible and don't have other “creditable” coverage based on current employment, you could have to pay a late-enrollment penalty later when you do enroll. The late enrollment penalty isn't the only penalty either. You may have to wait until the “General Election Period” to enroll. This could result in you being without coverage for a number of months. Do I Need to sign up for Medicare if I have an HSA? If you have a Health Savings Account (HSA), you may want to ask your personnel office or insurance company how signing up for Medicare will affect you. You'll also want to talk with your CPA about how your HSA contributions will be affected once you turn 65. It's always best to speak with a CPA when discussing tax-qualified plans. Do I need to sign up for Medicare Part D if I'm still working? Also, if you are already covered by your company's medical plan that includes medication coverage, a Medicare plan may not be right for you. Individual and Employer plans don't have the Medicare “Donut Hole“, so if you are on expensive drugs you might not want to sign up for Medicare. The drug coverage is the #1 reason why I might tell someone that they should stay on their current plan, after I analyzed their benefits. You'll definitely want to do a cost-benefit analysis here. Just the other day after doing a drug plan comparison on the Medicare.gov website. It looked like the client was going to have to spend about $6500 per year if he went off his company plan and onto Medicare. I thought that he might be better off on his company plan. But after we included premiums, co-pays and deductibles he paid the previous year, the result actually came out in favor of dropping the employer plan and going onto original Medicare. So the moral of the story is that you need to compare costs when making this decision. Do I need to sign up for Medicare if I work for a small company? If your employer has fewer than 20 employees, you should enroll in Medicare Part B when you are first eligible. Medicare is considered primary, which means it pays before your employer's insurance pays. If you don't enroll in Medicare, you'll be without insurance because your company's plan is considered “secondary”. And if you don't have the primary coverage (Medicare) it means that you don't have coverage. Even if you are paying your premium every paycheck. Before making a decision about Medicare Part B, you should contact Social Security. You can do this by dialing 800-772-1213 or visiting your local Social Security office. You'll also want to talk with your HR department or company's group insurance broker. Do I need to sign up for Medicare if I work for a large company? Whether you should enroll in Part B while you are still working might can also depend on how many people work for your employer. If your employer has 20 or more employees, you probably don't need to sign up for Part B right away because your employer's group health plan will be the primary insurer. And then when you retire, you will have a special enrollment period (SEP) of eight months to sign up for Medicare Part B, without a penalty. Most workers go ahead and enroll in Medicare Part A, which is free for most people and covers institutional care in hospitals and skilled nursing facilities, as well as certain care given by home health agencies and care provided in hospices. But be sure and ask your employer whether your current coverage will change in any way if you enroll in Medicare, because you don't want to lose any valuable benefits (especially drug coverage). Ask your employer or their insurance broker what kind of gap coverage it offers as a secondary payer to Medicare. If you are in a small plan that limits your choice in providers, or who's costs are high, you can sometimes save money and have greater options by moving to Medicare with a Medigap plan or a Medicare Advantage Plan. Be sure and include your spouse in the discussions though, as your spouse will likely need to get other coverage if you drop your employer plan. Can I have both employer coverage and Part B? If my employer is the primary payer, should I enroll in Part B anyway? Sometimes I come across a Medicare beneficiary who is paying for Part B along with an employer plan. This gives me pause because it usually doesn't make financial sense, unless your spouse needs coverage. It usually doesn't make sense to pay premiums for both plans, unless your spouse needs coverage. The program will not necessarily fill in all the gaps between what a provider charges and what your employer pays. If you are still working, you can drop your employer plan and enroll in Part B. That is, if your spouse is insured elsewhere. If you are married you'll generally need to stay on your employer plan. You'll want to wait until your spouse is able to obtain coverage outside of your plan. But compare your costs and speak to your Human Resources department about this. I've recently left my job, how does that affect Medicare? When you leave your job, you can enroll in Part B during a special enrollment period, which lasts for eight months after you stop working. Do I need to sign up for Medicare if I have a Special Enrollment Period (SEP) because I lost employer coverage? As we discussed earlier, some people should not enroll in Medicare while they are still working. 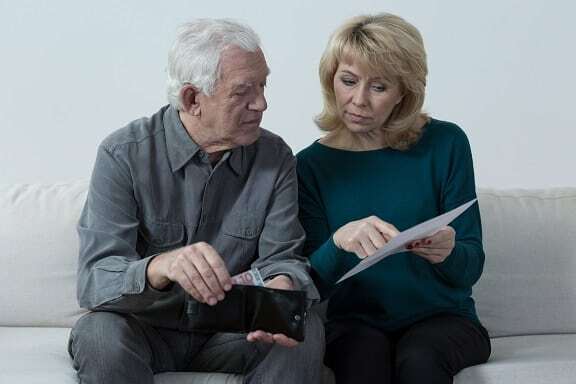 But if you DO plan on signing up for Medicare, then the best time to enroll is three months before reaching age 65, even if you are not ready to start receiving Social Security retirement benefits. The online application allows you to enroll in Medicare only, so you can continue to let your Social Security benefits increase until you are age 70 if you'd like. (At this writing you'll get an 8% increase in your benefit every year until age 70 if you wait). Keep in mind that it takes 30 days to obtain your Medicare card, and many MAPD and Medigap insurance carriers require that you give them a copy of your card. So don't wait until the last minute to enroll in Medicare! What happens if you miss the deadline to enroll in Part B? If you miss the deadline, you must wait until the Medicare General enrollment period, which is January through March of every year. But the insurance doesn't actually take affect until July 1st. You can be without insurance for a long time if you miss the deadline. Let's pretend that your deadline was April 1st and you missed it. You would not be able to enroll until January of the following year. But your Medicare plan wouldn't go into affect until July 1st. If this happened in April of 2017, then you'd be without insurance from April 2017 until July 1st, 2018, or 15 months. So don't miss the deadline! Be sure and discuss your options with your human resources department if you have a plan through your employer. 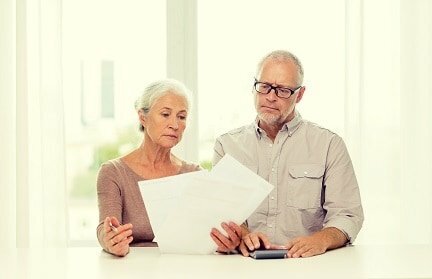 Do I need to sign up for Medicare if I have a Retiree Plan? If I have retiree health benefits, do I need to sign up for Medicare Part B? Corporate retiree health benefits are always secondary to Medicare — even if you have not enrolled in Medicare. I had a good friend of mine delay obtaining Medicare because she had an excellent retiree coverage. When she called me it was the next to the last day she could enroll in Medicare. We called her human resources department at her former company and spoke with them. I asked the question, “Is your retiree plan secondary or primary to Medicare?” The representative responded that it was “secondary”. I responded, “So that means that if she doesn't currently have Medicare, then she's not covered at all, right?” and the representative agreed. Needless to say, my friend was shocked! Especially since she was spending over $1000 per month for her coverage! Luckily, there was one day left. My friend was able to go to the Social Security office and wait to see a representative. She was able to apply for Medicare before the deadline had passed. Do I need to sign up for Medicare if I'm on a company plan? 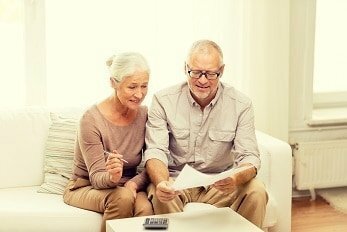 If you're not yet 65 but are retired and receiving retiree health benefits, make sure you're aware of the employer's rules regarding Medicare. Some employers drop retirees from their plan when they turn 65. These employers require their former employees to transition 100% to Medicare at that time. Others continue to provide supplemental benefits that are secondary to Medicare, like my friend's plan. Do I need to enroll in Medicare if I qualify for COBRA? A lot of people don't realize that COBRA is not creditable coverage. Because of this, choosing COBRA after you turn 65 is not a good idea. If you delay enrolling in Medicare Parts A and B you'll have to wait until the next General Enrollment Period to enroll. AND you may have to pay a late-enrollment penalty. The General Election Period is January 1st through March 31st of every year. Then Medicare will take effect on July 1st of that year. So lets say you leave your job in October and stay on your retiree health plan. You think you don't have to enroll in Medicare because you have COBRA. Your special enrollment period (SEP), ends June 30, but you're still on COBRA until August 1st. You'll find out that you won't be able to enroll in Medicare until the General Enrollment Period. The GEP is January 1- March 31st. But… the plan doesn't take affect until July 1st. This means that in this instance, you'd be without insurance from August until July, or 11 months. To avoid this from happening, I recommend that you do NOT go on COBRA if you are eligible for Medicare. Do Immigrants need to sign up for Medicare? Recent immigrants are not eligible for Medicare. But once they've been legal permanent residents for five years and are at least 65, they will have the option to purchase Medicare coverage. They won't be able to get Medicare Part A for free, but they can purchase it. This is the same option available to US residents who don't have a long enough work history to get Medicare Part A for free. If I need to sign up for Medicare, how do I do it? By phone – Call 1-800-772-1213 from 7 a.m. to 7 p.m. Monday through Friday. If you are deaf or hard of hearing, you can call 1-800-325-0778.